With Jagerbombs becoming a staple to any night out, these CE marked Bomb Shots are ideal for serving shooters with chasers at super quick speed. 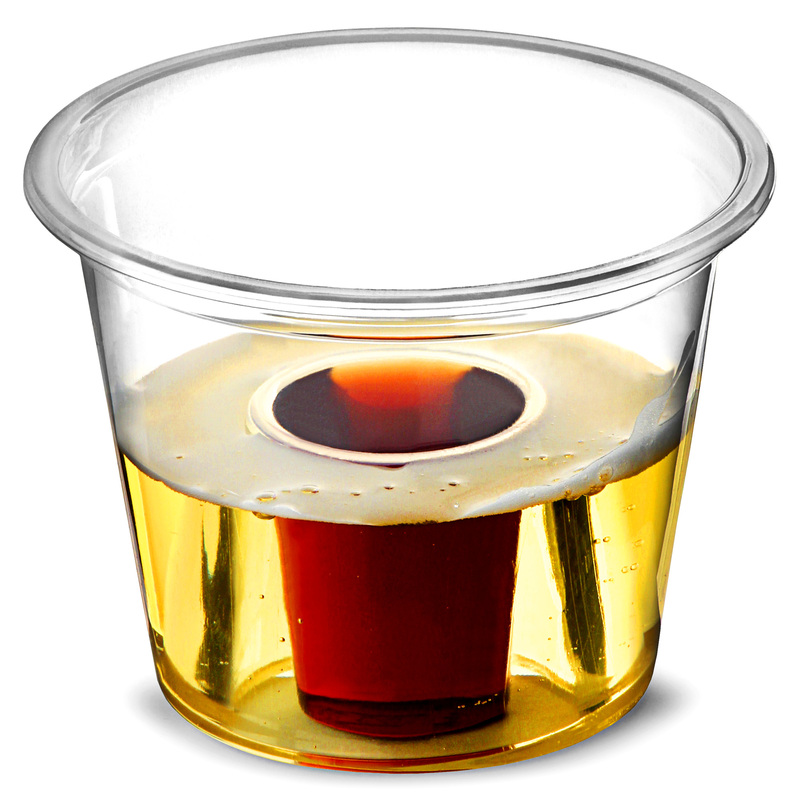 Ideal for use in commercial bars, pubs or clubs, these disposable bomb shot glasses can be simply thrown away after use. 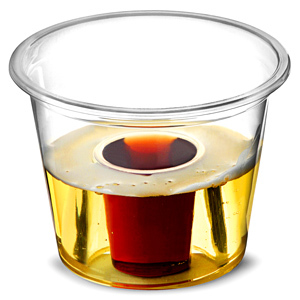 As part of the latest craze, these jagerbomb cups are also stackable to save space and made using polypropylene for safety. With the inner chamber holding a CE marked 25ml shot, the outer chamber separately holds a 60ml chaser of your choice without mixing. Not only limited to Jagerbombs, these shooters can also serve up Cherry Bombs and Melon Bombs! Perfect for avoiding glass in busy establishments, this quick & easy solution for bomb shotz is a true game changer.